As we have previously discussed, increasing rack density and consolidating data centers is all the rage, especially going into 2016. This is a trend we do not see going anywhere. Many businesses are opting for colocation as a way to save money and achieve better IT management and protection. In data facilities, space is a precious commodity. One of the main reasons often cited for needing to relocate is simply not having enough space. As the trend continues towards cloud storage, with the help of increasing rack density and consolidation, many data centers may just find they have more room than they think and can even implement more focused, better cooling strategies that will also help save on energy costs. Facility rent is far from cheap so maximizing space is critical in achieving a cost-effective method of managing data. Horizontal expansion is not the answer, vertical expansion through increased rack density and consolidation is how data centers can continue to adapt to meet their own needs without having to relocate. Data Center Journal provides a helpful description of what high density looks like and why it makes such a big impact, “A number of different approaches to increasing power density have expanded the computing power per square foot of data center space. According to a Gartner press release (“Gartner Says More Than 50 Percent of Data Centers to Incorporate High-Density Zones by Year-End 2015”), “Traditional data centers built as recently as five years ago were designed to have a uniform energy distribution of around 2 kilowatts (kW) to 4kW per rack.” But the addition of high-density zones can increase this energy distribution several times over in certain areas of the facility. “Gartner defines a high-density zone as one where the energy needed is more than 10kW per rack for a given set of rows. A standard rack of industry-standard servers needs 30 square feet to be accommodated without supplemental cooling, and a rack that is 60 percent filled could have a power draw as high as 12kW. Any standard rack of blade servers that is more than 50 percent full will need to be in a high-density zone.” Of course, increasing density in individual server racks, while beneficial to consolidation, brings challenges that must be addressed. Power distribution and cooling needs are vastly different for high density racks vs. traditional server racks. Not only must high-density power be properly supplied by energy, and properly cooled, but all of the components must have adequate backup power in the form of a sufficient UPS and UPS battery that can maintain the high-density needs should a power failure occur. Data Center Journal elaborates on the challenges, “One constraint on power density is obviously the power-distribution infrastructure, both at the level of the utility-provided power and the backup facilities. For each watt supplied by the utility, the data center must have sufficient UPS and diesel-generator capacity to continue operations in the event of a power outage. And that, of course, is above the cabling, power-distribution units (PDUs) and so on dedicated to delivering the power to the racks. Coughlin notes that “most data centers don’t have much new power available for their facilities, so they likely have to get more power from the utility and spend a lot of money on core data center infrastructure (electrical and mechanical infrastructure, generators, power distribution and so on) just to be able to provide it. So access to more power and cost are two important variables.” But the other and perhaps more pressing need is cooling: every watt consumed by the facility is a watt of waste heat that must be removed to maintain the desired operating temperature. Herein lies what may be the biggest challenge facing higher density—particularly for facilities not originally intended to handle it. “When you increase density considerably at the rack level, much more heat is generated by the servers and a lot more cooling is required,” said Coughlin. 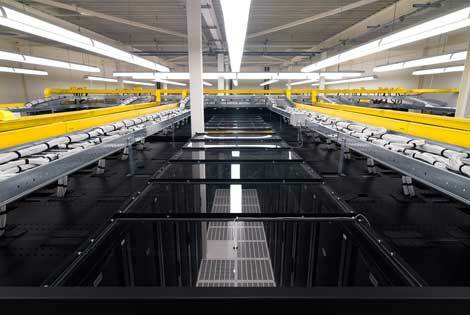 “Cooling infrastructure is very expensive, but the biggest challenge may be trying to retrofit an old data center. Most of these older data centers were built with low ceilings and there is no easy way to improve density in many cases other than ripping up the data center—which is incredibly difficult to do, especially with live customers.” Ultimately, if these challenges can be overcome, high-density will drive a data center’s ability to lower costs and maximize efficiency, a focus that is on the mind of every facility manager. This entry was posted in data center cooling, Data Center Design, data center equipment, Data Center Infrastructure Management, DCIM, Power Distribution Unit, Power Management and tagged Data Center, data center equipment, scottsdale data center design, Uninterruptible Power Supply, Uninterruptible Power Systems, UPS Systems. Bookmark the permalink.